Nordic ESERO kutsuu yläkoulut sekä lukiot Suomesta, Norjasta sekä Ruotsista osallistumaan kiinnostavaan oppimis- ja kilpailutapahumaan. Tapahtumassa opiskelijat rakentavat sekä laukaisevat «CanSat tölkkisatelliitin». Kilpailu on avoinna yläaste- sekä lukioryhmille mikäli kyseisen ryhmän opettaja on osallistunut CanSat-täydennyskoulutukseen. Kilpailu järjestetään 23 – 26. huhtikuuta 2019 Andøyan avaruuskeskuksessa Norjassa. Nordic Esero bjuder in högstadie- och gymnasieelever från Finland, Norge och Sverige till några spännande utbildningsdagar som avslutas med en tävling där de får bygga och avfyra en «läskburkssatellit». Tävlingen är öppen för elever i högstadiet och gymnasiet vars lärare deltagit i Nordic Eseros CanSat utbildning. 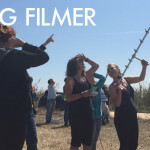 Dagarna kommer att hållas 23 – 26 april 2019 på Andøya Space Center i Norge. 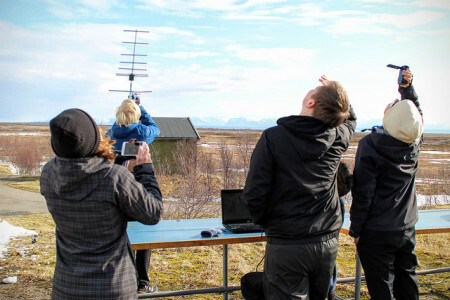 Nordic ESERO inviterer skoler med elever på videregående skoles nivå fra Norge, Sverige og Finland til å delta i et spennende undervisningsprogram, hvor bygging og oppskytning av «brusbokssatellitter» (CanSat) inngår. Konkurransen er også åpen for deltagelse fra ungdomskole hvor lærere har deltatt på CanSat kurs. Konkurransen vil foregå fra 23.- 26. april, 2019 på Andøya Space Center. CanSat is an educational project that seeks to teach STEM (Science, Technology, Engineering and Mathematics) disciplines using space as their context. The challenge is simple: can you build a satellite that fits into a soft drink can? 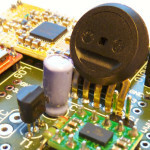 A CanSat contains all the major subsystems of a real satellite, such as power and communications. The only difference is that it will not go into orbit. It will be launched on a drone or a rocket that will travel up to an altitude of 400m — 1 km, deploy its parachute, and land safely. The CanSats must perform a primary mission, which consists of transmitting data of temperature and pressure measurements, and a secondary mission, which is up to your imagination. The participating teams will be involved in a real scientific project. They will have to design a CanSat prototype, test it, perform a mission, and gather and analyse the data. The major challenge is to keep the CanSat within the specified limits in time, size and expenses. In Norway, this educational project fits particularly well in the subject «Teknologi og forskningslære». Teams from Finland, Norway and Sweden will (after the deadline shown in the table below) be selected to participate in the Nordic CanSat competition based on their submitted project proposal. See deadlines below. Each team must consists of four students full-time enrolled in a secondary school and in addition a teacher, which will follow the team to Andøya Space Center for the competition. One teacher can be responsible for one team per year only. 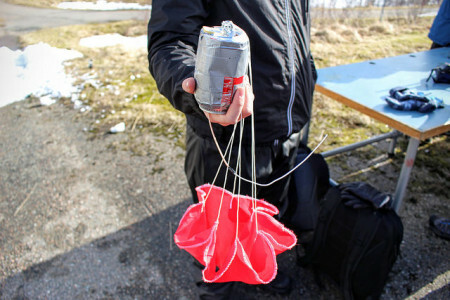 During the competition at Andøya Space Center, the CanSats will be launched by a rocket, a drone or a balloon. Expenses related to the implementation of the Nordic competition, the participating teams accommodation and meals during the stay at Andøya Space Center are covered by NAROM and Nordic ESERO. Each team/school must cover own travel expenses to and from Andøya. There will be one overall winner for the Nordic competition and in addition, there will be one national winner for each of the countries Finland, Norway and Sweden. 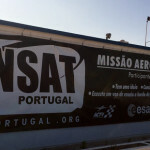 The winning teams of the national competitions will be granted a place in the European CanSat competition 2019 arranged by the European Space Agency ESA and taking place from 24th – 28th June 2019. It is important, that each team submitting a project proposal is sure that both the students and teacher are able to participate in the European CanSat Competition in June in case they will be a national winner in the Nordic Competition. 24th – 28th June 2019 The European CanSat Competition Launch Campaign 2019 in Medicina, Bologna, Italy. Who will be the winner of the Nordic CanSat Competition? The winner of the Nordic Competition will be the team with the highest total score for the items to be evaluated by the jury. In the table below, the different items are describes and a further description can be found here. Technical achievement 35% how the teams obtained the results, how reliable and robust the CanSat was, and how the CanSat performed. Innovative aspects of the project will be judged (e.g. the tools selected and the hardware/software used). Scientific Value 35% The scientific value of the teams’ missions and the teams’ scientific skills will be evaluated. This includes the scientific relevance of the mission, the quality of the technical reporting (both written and oral) and the team’s scientific understanding that will be assessed from the team’s ability to analyse and interpret results appropriately. Professional Competencies 20% The Jury will assess the team’s collaboration and coordination, adaptability and communication skills. Outreach 10% The team will be awarded points on how the project is communicated to the school and the local community, taking into account web pages, blogs, presentations, promotional material, media coverage etc. Teams’ final scores will be penalised with 1% per day of late submission of the CanSat Pre-launch Report. Similarly, 1% of the final score will be subtracted per 10 euros extra spent over the maximum CanSat budget of 500 euros. Make sure that your team fulfils the requirements for participating in the competition. Read below. Fill in all information in the registration form that you will find below at this page. Send and register your project before the 15th January 2019. A team consists of four members aged 14 – 20 years. Each team needs to be supervised by a teacher responsible for monitoring the team’s technical progress, offering help and advice, and acting as the team’s point of contact with NAROM. The Team Leader must be available to accompany the team to the competition launch campaign at Andøya Space Center. The teacher needs to have participated on CanSat teacher training. If not the case, contact NAROM (contact info below). The students are enrolled full-time in a secondary school in Norway, Sweden or Finland. Both the students and teacher are able to participate in the European CanSat Competition in June in case they will be a national winner in the Nordic Competition. 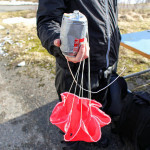 It is forbidden for a team to participate in the CanSat competition more than once except for the teacher and up to one student from the former team.